Nowadays, people use their smart phone for work, for communication or just for entertainment every day. As we all know, once we use the smart phones, there will be some thrash, aches produced. And if we ignore them and do not clean up smart phone regularly, the phone can not work smoothly and efficiently which will effect while using our phones. Even iPhone 6S(Plus) can not avoid this situation. So, we need to be ware of the importance of cleaning up thrash from phones regularly to maintain the performance of our phones. For example, what would you do if you want to free up more space on an iPhone 6/6S(Plus)? I think smart person will choose to use Mobile Eraser, the most professional eraser to free up more space. You say you do not know something about the Mobile Eraser? Oh, it’s okay. Now, let’s approach it together. Mobile Eraser (iOS Optimizer) is the ideal Android & iOS device erasing application designed to permanently wipe all personal information from the device using US Military spec over-writing technology to render the data unrecoverable. So, that free up storage space on our devices is a piece of cake to it. Moreover, it is also fully compatible with the latest Windows 10, Android 6.0 Marshmallow, iOS 8/iOS 9, iPhone 6S and iPhone 6S Plus. 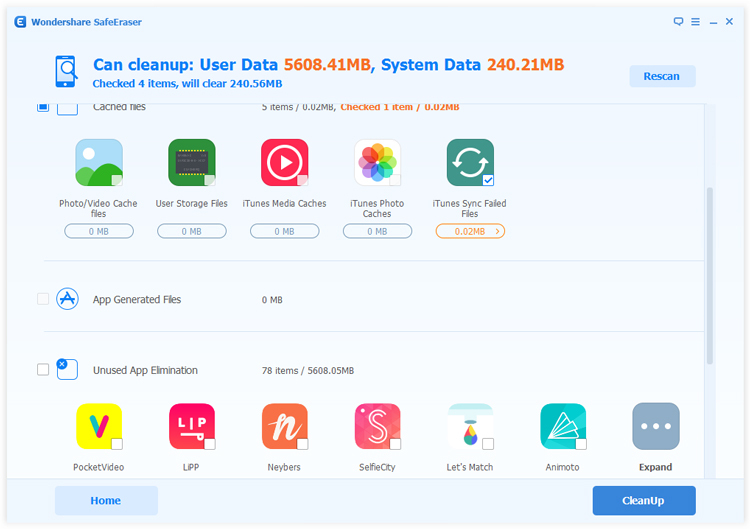 With the help of Mobile Eraser's 1-Click Cleanup, our devices will perform at optimal speeds by removing junk files and unnecessary background processes to free up more space. Now, let’s use it to free up more space on iPhone 6/6S(Plus). 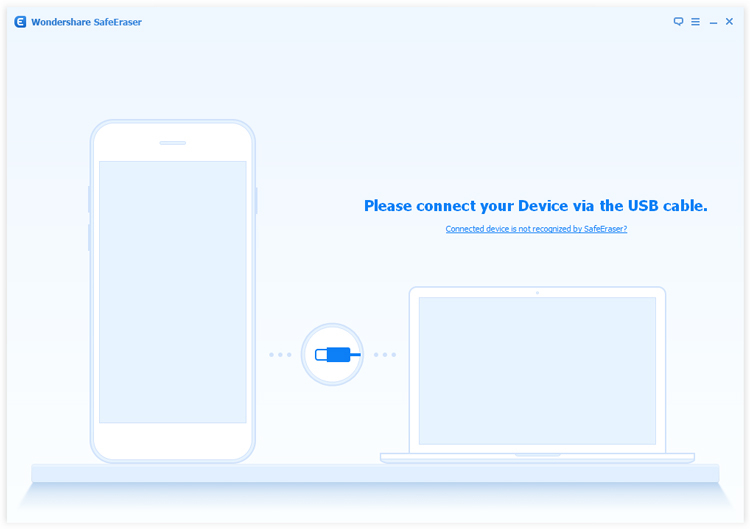 Launch the Mobile Eraser on the computer and connect iPhone device to computer with USB cable. The program will detected your iPhone soon. If this is the first time you connect to the computer or your connected device is not recognized by the program, you need to trust the computer firstly. In this interface, you can see the detail of your device's storage space, "One-Click Scan" button and five wiping options. "One-Click Scan" button can scan your existing and deleted data for free and keep your privacy safe. 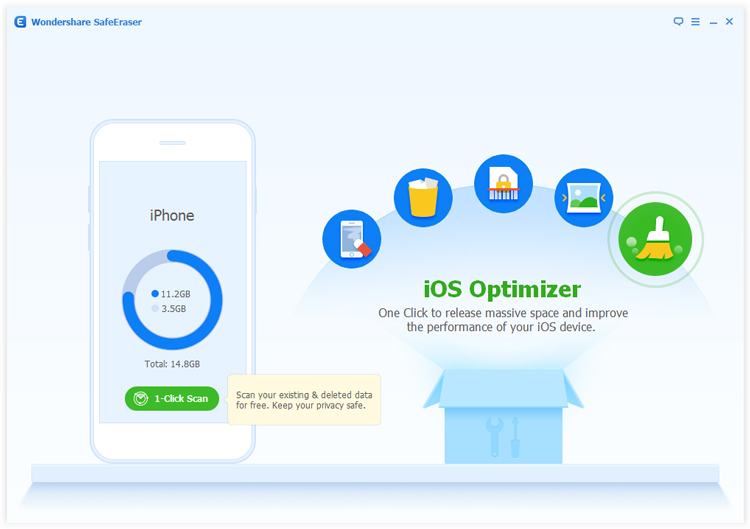 To clean up more space on your iPhone, you can choose the "iOS Optimizer" option, which can one click to release massive space and improve the performance of your iOS device. 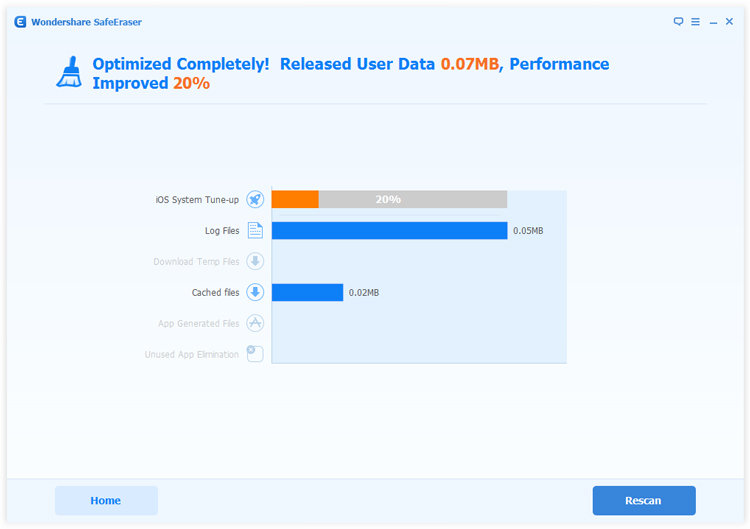 Just press "iOS Optimizer" button to start the optimize process. 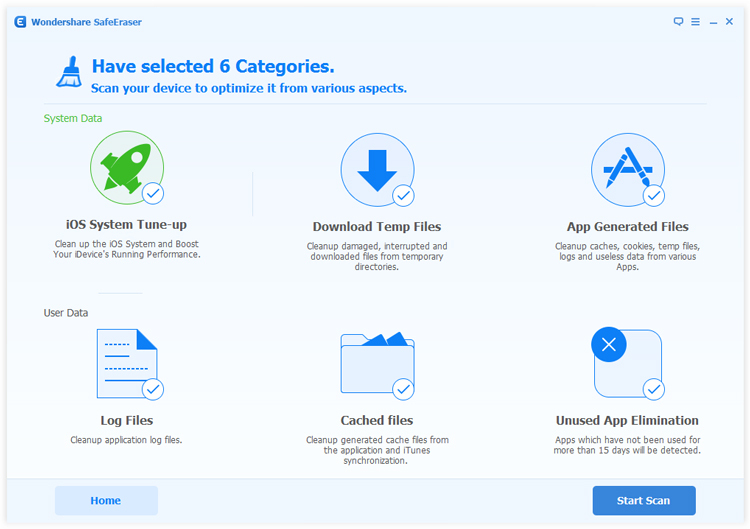 Select all categories, and then type “Start Scan” to scan your device to optimize it from various aspects. In addition, the program will show you how much user data and system data it can cleanup. Type “Cleanup” button to optimize your device. After this process completes, the program will automatically reboot your device and then shows how much space you've freed up.